GREAT FOR A REAL GUITAR COLLECTOR OR REAL PLAYER!!! These were only made in 1984 and 85. I bought it new in the early 90's as a collectible and played it less than a couple of hours. I've read places that less than 1000 were ever made(read full Wikipedia description below). 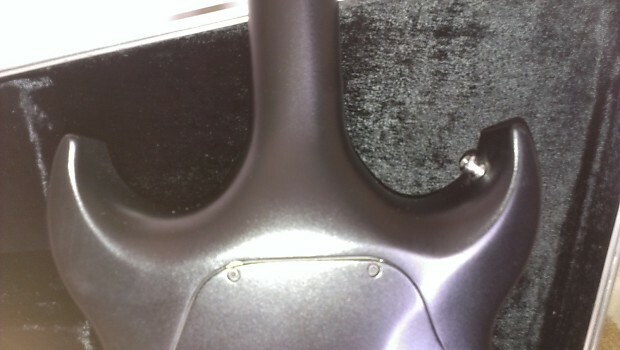 The fingerboard is stepped anodized aluminum (see pics). It does not actually have frets, but is not at all like a fretless guitar because it is not infinitely variable in it's intonation. 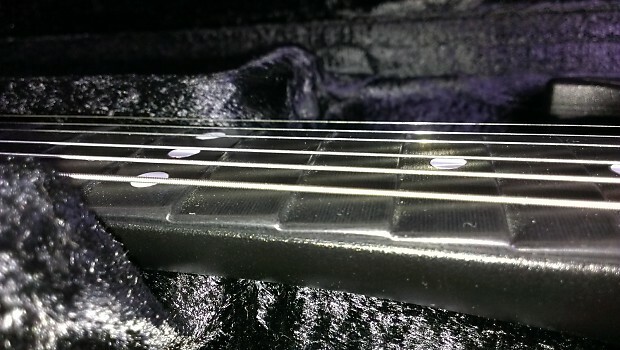 The steps break up the scale in the same way frets do. It is in its own category, but it still feels and plays pretty similar to a fretted guitar. 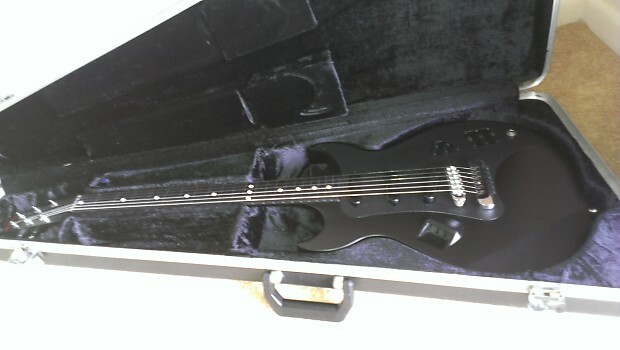 The guitar is one piece, made of carbon fiber. It comes with a power supply and original case. Everything works as it should, it plays and sounds great. Owning an Electraglide takes a bit of responsibility. You must remember to hookup the guitar to the power supply (with the included TRS cable) before connecting the power. It is unlikely you will hurt the guitar breaking this rule, but there is always a chance. The pickups create sound like any others, and the audio components are analog, but everything is controlled digitally. It doesn't "sound digital" or anything, it's just for control features. The controls are pretty great actually, one volume and separate treble and bass controls rather than a roll off (tone knob), plus the pickup selector allows you to choose any combination of pickups and phase you want: There is an on/off for each and phase reverse for the neck and bridge. Reversing both the neck and bridge is the same as reversing only the middle, thus every combination is achievable. Bonds were prone to a surface crack where the neck meets the body, and this one IS PERFECT. Like brand new with no cracks. I originally bought it as a collector’s item and just selling for the cash to purchase other equipment. I hate seeing it go, but will part to the right home! Please ask any questions before bidding. Good luck! Shipping to lower 48 USA only, unless... We speak before you bid, you have significant and 100% positive feedback, and you are willing to incur all costs including the purchase of a hard case. International shipping will not be cheap. If you are very serious, ask me for a quote. 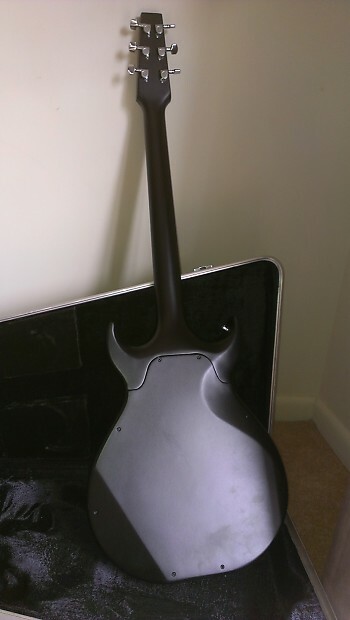 The Bond Electraglide was a manufactured by Bond Guitars between 1984 and 1985. 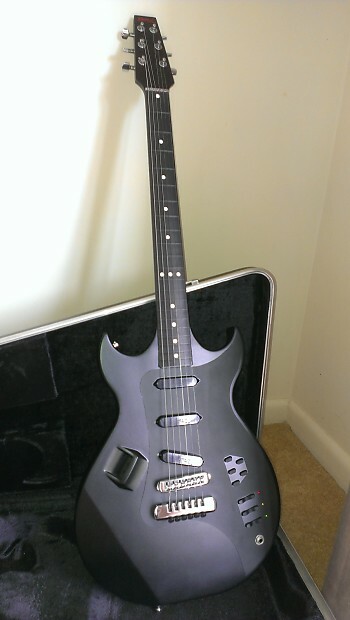 It resembled a matte-black, 3-pickup (although with the 1962 onwards double cut-away), with a unique stepped aluminum fingerboard (anodized black) instead of traditional frets. Pickup switching, volume and tone controls were completely , powered by a large internal motherboard. The player selected pickups via five pushbuttons; volume, treble and bass were incremented numerically via digital rocker switches, confirmed by a three-colour readout. The guitar required an external power supply pack and given the state of engineering at the time, was relatively bulky; it never really caught on in the marketplace and only about 1400 units were ever manufactured. 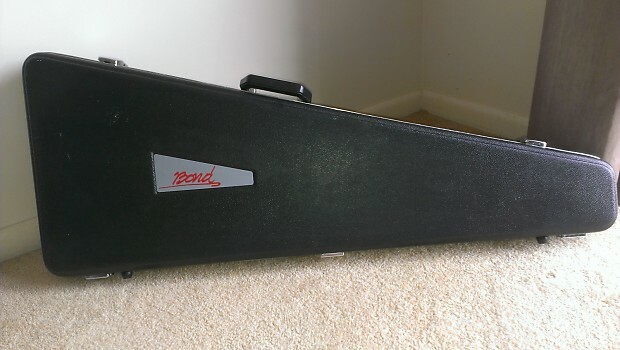 British guitarist is known to have used a Bond Electraglide with his band in the mid 1980s. , of U2, used his extensively on , including the solo on "One Tree Hill", as well as on "Exit," and "Mothers of the Disappeared". , , and were also Electraglide users. Bond Guitars was set up by Andrew Bond (d. 1999) in , Scotland, in 1984. The company ceased trading in 1986.